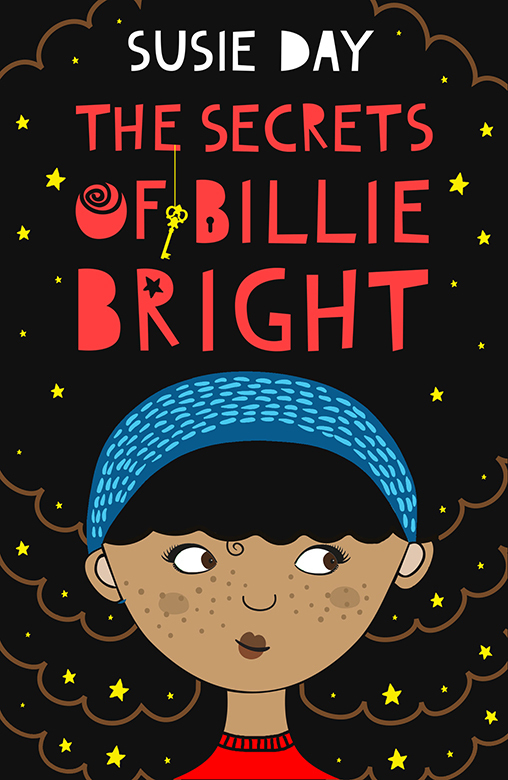 Billie Bright is part of a big, messy family of boys and they all live in a tiny flat above their dad’s café in Kensall Rise. Billie, aged 11, is about to go to big school thankyouverymuch, the same school as big brother Mikey. Her other brother Raffi doesn’t go anymore and has loads of different jobs for about a week, then gets inevitably fired. Billie’s other bigger big brother Gabriel lives in a fancy flat in Canary Wharf with his boyfriend Aleksy. Billie’s mum died of cancer when 6 years ago, and Billie can’t really remember her anymore. But she prays/writes to her a lot to keep her up to date with what’s going on. Billie knows she’s being watched over by here mum, who was probably very beautiful and liked Coronation Street and knitting. Starting big school is a big deal for Billie, who has been looking forward to it since year 5. She knows it’s going to be exciting, being so grown up, and that making friends is going to be challenging, because her two friends from primary school have gone elsewhere and Billie has to start from scratch. She’s eyed up small, scared looking Efe as definitely best friend material, but bossy Ruby looks like she’s already decided Billie is going to be her friend. Amongst the whirlwind of emotions and episodes that make up the first week of a new school, year 7 are assigned an exciting task: to compile a research project about their hero. Billie, obviously, is going to do hers on her mum, but she doesn’t know much about her and her brothers are oddly reluctant to talk about her. In the course of her research project, Billie is set to find out all sorts of secrets about her family. d race kid encounters is going to be linked to race. Efe is Nigerian, Ruby is Chinese English, Sam and Sam have two mums- all part and parcel of modern life and it’s wonderful to see such a representative normality in this story. Not a plot point, not a Big Worthy Message or a characterisation short cut cliché. The girls’ problems with periods and bras and keeping on top of how your tie is supposed to be knotted so you don’t look a nerd are universal worries. It’s a coming of age story at its most thoroughly relatable and understandable. I really loved this book; it was an absolute joy to read. Billie, as a narrator, is wonderful. She’s sweet and charming and has just the right balance of confidence and doubt. Billie describes her sarcastic form tutor, Mr Miller, as sad and grey “Like Eeyore”. Love love loved it. She makes friends easily with Girl Sam, Efe and Ruby (slightly more reluctantly) and she’s naturally curious and funny. She narrates with a heart-breaking honesty and vulnerability. I love how much she cares about her family, how thoughtful she is. 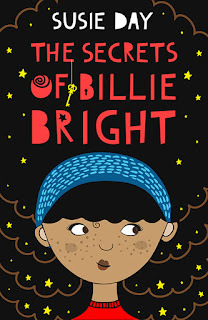 Anyway; there are year 7 hijinks with sleepovers in the Natural History Museum, practise sleepovers in the flat, bridesmaid duties, fancy dresses, emergency search parties to famous locations and lots of uncovering of heart-breaking secrets that make Billie question everything she ever thought she knew. It’s not an entirely happy ending- there is lots of happiness and love, but also tears, acceptance, disappointment and the acknowledging of fallibility. It’s a very grown up lesson that Billie has to learn the hard way. Very much recommended for 9 ish-12 ish year olds that are into Jaqueline Wilson, Lara Williamson and Pamela Butchart. Brilliant, obviously, for those slightly nervous of staring Big School.